A start-up called Pebble is breaking Kickstarter funding records with promises of a watch that can share information with an iPhone or Android-based device. As of Monday afternoon, more than 20,000 people had pledged upwards of $3 million toward the watch. Back when he was a Canadian college student, Eric Migicovsky came up with the idea while biking in the Netherlands. He found he was constantly pulling out his iPhone just to see who was calling or texting. “Why couldn’t I just be able to look down at my wrist so I could make a better decision of ‘Do I want to pull out my phone? '” Migicovsky said in a telephone interview on Monday. So when he got back to university in Waterloo, Canada, he started working on such a product. But given that it was 2009 and he was in Research In Motion’s hometown, the first watch was designed to talk to a BlackBerry. “The world has changed and that’s why we have changed with it,” Migicovsky said. Migicovsky created about 1,500 of the first-generation watches and got funding last year through Y Combinator along with some angel funding. 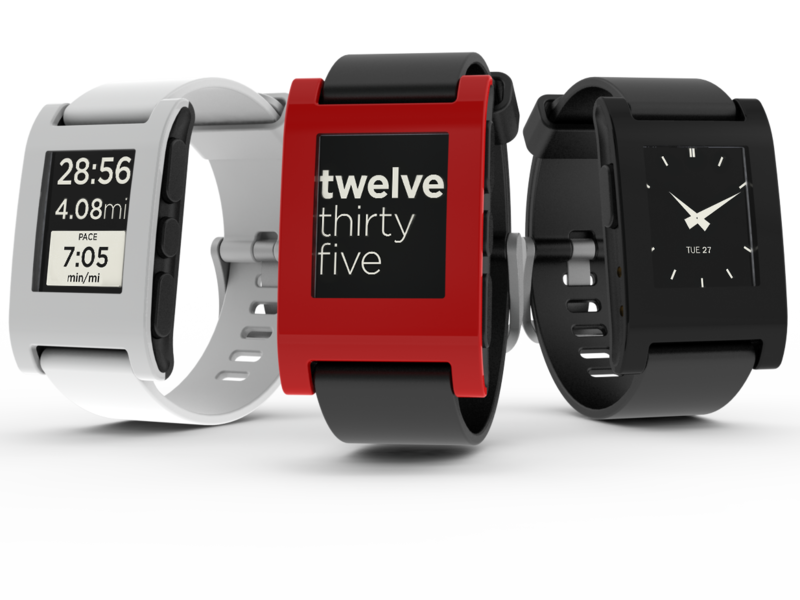 But when no venture capital firms wanted to back Pebble, Migicovsky turned to Kickstarter, hoping to raise a modest $100,000. Pebble gained a further bit of attention as Sony decided to announce its SmartWatch just as the start-up hit Kickstarter. With the staggering response, Migicovsky is working to staff up and secure enough components to start shipping orders in September. The staff, which was five people heading into the weekend, has now doubled, Migicovsky said. 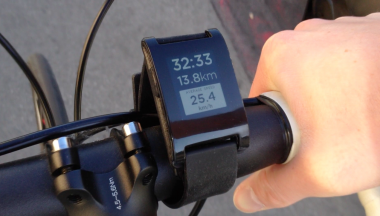 The Pebble itself uses an e-paper screen similar to the kind used in e-book readers and works with the iPhone 3GS and newer models or Android devices running version 2.3 or newer, using Bluetooth to communicate with the phone. Features vary somewhat depending on the kind of phone connected to the watch. With the iPhone, for example, Apple doesn’t offer a way for developers to access text messages, so there is no way for the watch to display that information.